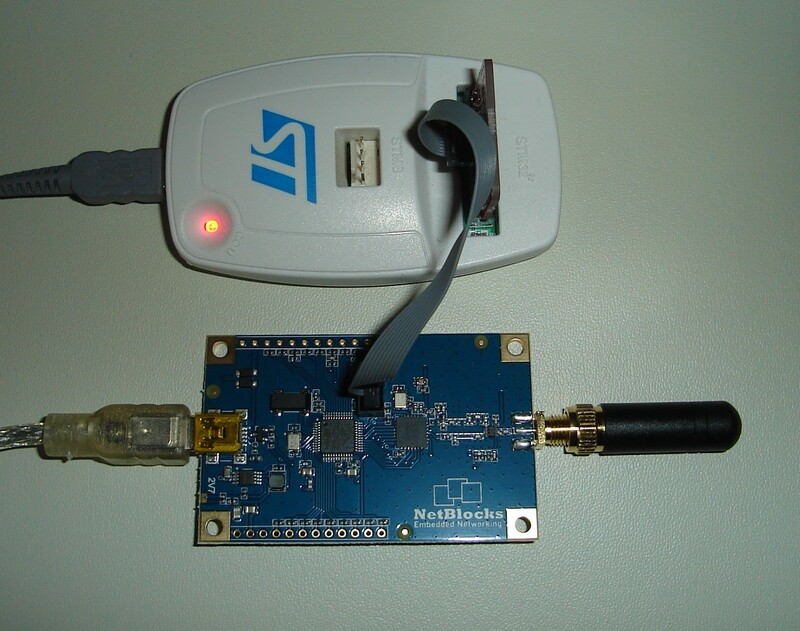 The USB-RF application implements a USB Virtual COM Port which sends and receives data by SX1272 LoRa long range radio modem. Connect the ST-Link or other JTAG probe to XRange board. 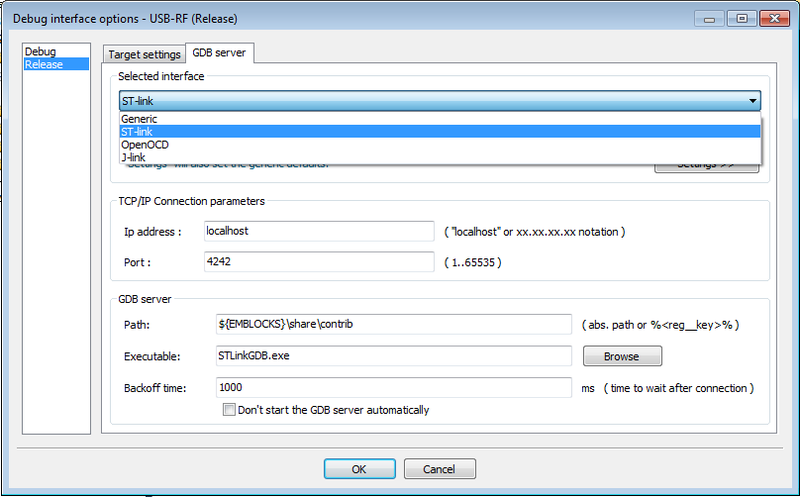 Download the source code of the USB-RF application from GitHub USB-RF source code. 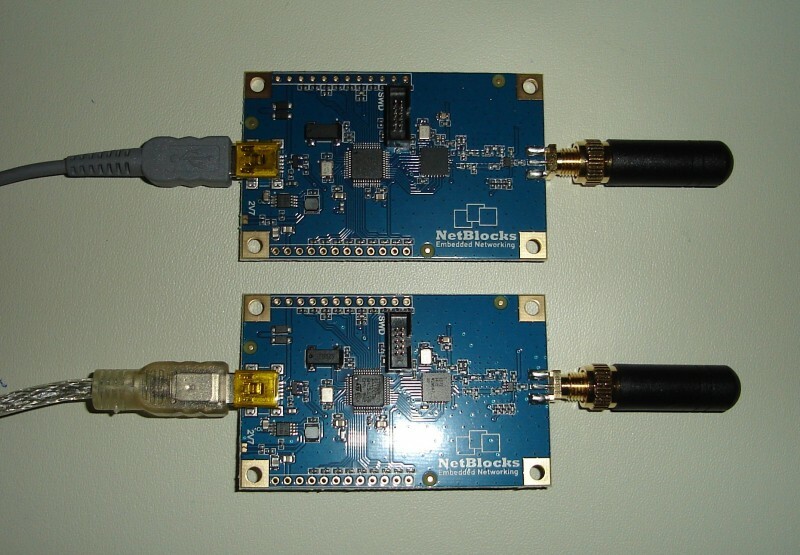 Open the USB-RF project with EmBlocks Free IDE from Examples/EmBlocks/USB-RF. 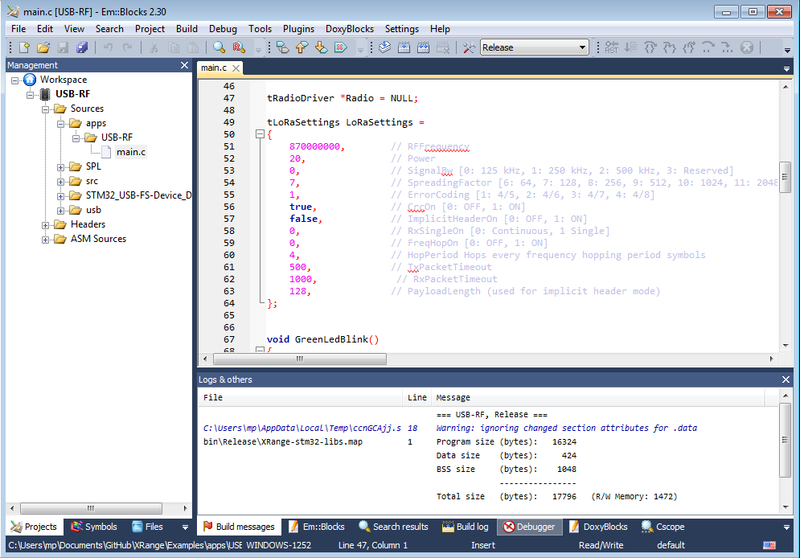 The project is configured for ST-Link/V2 if you use other JTAG probe you have to configure it. Load the firmware in XRange board from Debug -> Start/stop Debug Session or press F8. Next run the program with Continue Button. 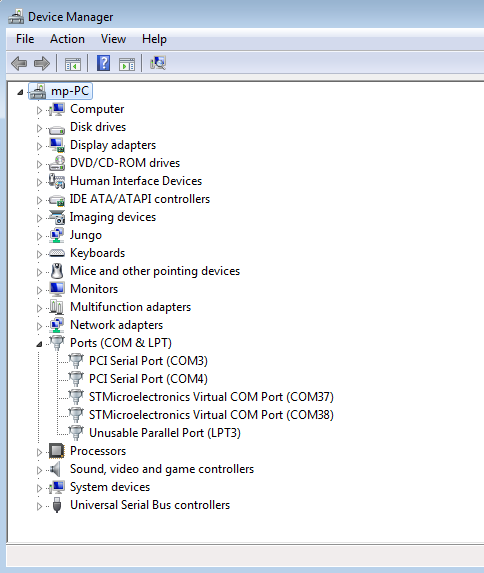 Windows will install the usb driver automatically if there is a problem you can download it from here. Repeat the same procedure for second XRange module. Obtain the COM Port names from control panel. Connect the the terminal program to Virtual COM Ports. When you type something in one terminal programme you should see the text in the other terminal programme. Linux will install the driver automatically when you connect the XRange board. [ 111.277239] cdc_acm 2-1.2:1.0: This device cannot do calls on its own. It is not a modem. [ 114.439995] cdc_acm 1-1.3:1.0: This device cannot do calls on its own. It is not a modem.